The British public has an insatiable appetite for curry even though for many of us the local Chicken Tikka Masala is little more than pink slop hiding a few bits of chicken (if you are lucky). 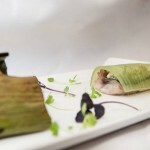 There is a growing band of fabulous restaurants serving delicious, innovative and authentic regional Indian cuisine often pioneered by inspirational chefs or restaurateurs who are setting a new benchmark for the genre. These are not new boys on the block but dedicated professionals working tirelessly to raise the bar and deliver their dream. To kick off here are 4 wonderful restaurants, leaders in their field and all well worth a special visit. 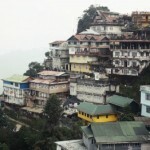 The Chilli Pickle , now in its 9th year, is a unique venue created and run by Dawn & Alun Sperring, reflecting and inspired by years of travel throughout the Indian sub continent. Serving an ever evolving menu of regional dishes gleaned from regular trips to India The Chilli Pickle serves street food, Thali and railway trays, Nepalese Momo, Goan Red Bream , Dosa and Tandoori dishes. The vibe is canteen rather than fine dining but that is not reflected in the quality of the food. Chilli Pickle has held 2AA rosettes every year since 2009, voted in the top 100 restaurants in the UK every year since 2011, Michelin Bib Gourmand since 2010 and much more. Alun oversees a multicultural kitchen with chefs from all regions. Presentation is simple and colourful, flavours authentic rooted firmly in the culture of and heritage of the continent. This restaurant is always busy and is active in the Brighton street scene, if you can’t get a table then order a take away as they offer a fabulous home delivery service. The Purple Poppadom is the multi award winning nouvelle Indian cuisine creation of the most respected master chef Anand George. 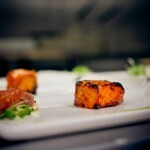 Originally from Kerala Anand’s culinary heritage and passion for excellence are evident in everything he does. 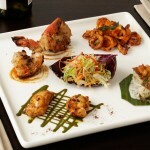 Metropolitan in style this chic restaurant serves cutting edge Indian cuisine. Culinary perfection, innovative presentation, intense flavours and professional restaurant service all add to make The Purple Poppadom a very special venue. There is lots of choice, chefs tasting menu, a set menu for Christmas parties and a take away service; sides include Aloo, Paneer and Dal + excellent breads. Anand also runs a cookery school, operates pop up events and hosts regular fundraising evenings for both local and national charities. There is an excellent selection of vegetarian dishes and also maincourse sharing boards. 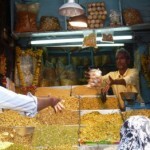 Taj has put together a well chosen wine list, cocktails and Lassi as well as top notch bar snacks. 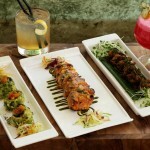 Hazara also caters for private parties and home dining/take away service with its own online app. Widely recognised as the pioneer of exquisite Indian cuisine in the Midlands Itihaas is the creation of restaurateur & entrepreneur Raj Rana. 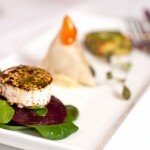 This is a large venue with 5* dining on 2 floors.The stunning restaurant blends contemporary and traditional. 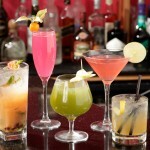 No expense has been spared and Itihaas has been awarded numerous accolades for its food, service and decor. Downstairs, the luxurious Maharaja Suite seats 60, and the Tiffin Room, the ultimate private dining for up to12 has its own bar, library and butler! 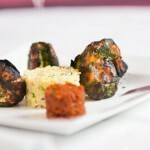 Food is 5* and service regal, this is simply one of the best Indian dining experiences available. Menus embrace dishes from the Maharajas, Moguls, British Raj and modern Hindustan. 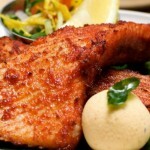 Sharing starters, dishes from Indo China, Chaat & Dosa, great seafood and breads all prepared with skill and passion. 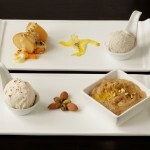 Itihaas also has a fabulous Brasserie in Selfridges in Birmingham and caters for outside events. Raj is also a tireless fundraiser for local and national charities making Itihaas a cornerstone of the community.